Positiveiam | Please go to www.positiveparentingspecialized.com. Thanks!! Please go to www.positiveparentingspecialized.com. Thanks!! So I haven’t blogged in quite sometime. There is a sad reason. Four days after my last blog when I had strep throat (again), Pedro took Matt to our pediatrician. Matt had been drinking about 200 ounces of water a day. I was hoping Matt had become obsessed with drinking water, which obsessions among children on the autism spectrum are not uncommon. I had called the pediatrician twice, asking what they thought I should do for Matt. On April 13th, Mattey laid around all day. I would ask, “Do you feel sick anywhere?” To which he would answer, “Me never feel good neither.” Which has always been code for Matt since he was about two that he was feeling sick. I felt alarmed. But I had just gotten an antibiotic for strep throat, and didn’t want to risk infecting others. Matt has a hard time communicating where he feels sick at, this is just Matt. I am hoping as he grows, he will communicate better. So on April 14th, 10 days before Mattey’s fifth birthday, my then husband who is also, Matt’s daddy took Matt to the doctor. They pricked his finger. His level was 179. They were not alarmed by this and told Pedro that he could take Matt out to breakfast. Then I got a frantic call, that no longer makes sense to me that they looked on a chart for 7-9 year olds & Matt’s level should be much lower (which is bull, I now know 179 is NOT a good number). They wanted us to quickly get more blood drawn at the closest children’s hospital laboratory. They went. Pedro quickly left Matt in my care. He needed to get to work, this had taken longer than he had expected. I had that mommy feeling like I was going to need a sitter for Sophie. So I went to my mom’s and got Matt, Sophie, my mom and me lunch. No sooner had we started to play outside and enjoy the sunny day did my doctor herself tell me to go to the endocrinologist immediately. Mattey was nearing 500 in his glucose level. I knew Matthew had type 1 diabetes. The pediatrician had “mercy” on us. Instead of sending us to our local children’s hospital where we would be staying for four days, she sent us to a doctor who was close to our house who would educate us in his office for the next three days with no admittance into a hospital. Our doctor thought that would fit our family dynamic much better. So at the endocrinologist office Matt was given his first two shots and many more blood draws and so our life incredibly changed. Now I carry a glucagon shot with me everywhere, that might save Matt’s life someday should his blood sugar plummet. I carry 15 gram carb juice boxes with me everywhere. I have them in medicine cabinets, stuffed in glove compartments, and in pockets of his favorite jackets. Then there are 10-15 grams of carbohydrate snacks. And I carry as many “free” foods as I can find that he will tolerate. Free foods are made mostly of protein and do not contain carbs. Carbs need insulin to digest. So when Matt is hungry and is not snack time or meal time, free foods come in handy. He is an extremely picky eater so this has been very hard. Matt dreams of the day he gets a pump and asks daily, “Do I have diabetes?” It has been a very life changing experience. I am now good at finger checks and shots. I never thought I could do anything like this. But when it comes to our children super power kicks in and you do what is needed. We just step up to the plate. We are believing for a miracle, for God to touch Matt’s body so he won’t have to do this anymore. But until then, a pump is in sight, where Mattey won’t need four shots a day and his site will only be changed once every three days. We have started ABA therapy in our home for Matt. We have sought psychologists to help Matt eat more. He usually only eats bacon and yogurt for protein. I will begin to blog again. But for now, I urge every parent to go with their gut feeling in helping their children. I thought Matt was having some problems with water around Christmas. If I would have only had his finger pricked then, it would have been much better for his overall health. If you are concerned for your child in any way, know that “mommy knows best.” Go with your gut, don’t be afraid of labels or “scaring” your child. Embrace your child for who they are, but get the help and services they need for them to become all that they can be. At a makeup party of all places, I was telling how Lee had become very irritated that he was off schedule by just a fraction. In talking, another mom remarked that a school nurse had shared with her that her very own son might be an asperger’s syndrome child. The school nurse urged the mother to not repeat that she had suggested such a thing to anybody. This mother began to ask me about Lee because he has been diagnosed asperger’s. In talking, I could see light bulbs going off in this mother’s mind. It was clicking for her. Her son who had made her question and wonder was slowly becoming understandable as I talked. On vacation, I witnessed a dad threatening to spank his child because she could not stand the feel of the sand in her feet and was not tolerating her feet being dirty. A few years ago, I would have thought the little girl was being bratty but today, because my lens has been changed, I felt great compassion for the little girl and knew she was suffering from sensory issues. All of us are changed by the days that we live. Our lens is shaped daily on how we see life and how we see our children respond. Sometimes children that melt down often are children crying out desperately for help. They are having problems with their lens on life and life appears intolerable, hurtful, or even totally confusing for them. There is help and therapies out there for children who need extra and I urge anyone reading to find them for their children instead of sweeping the dirt under the carpet hoping it will get better. Life for Matt was again not going to get better until I decided to get help even though I was not encouraged by the person on the other end of the phone. For developmental concerns or even learning disability concerns in Ohio there are a few quick steps that can help financially: 1) Contact Beureu for Children with Medical Handicaps (BCMH) and tell them your concerns. Ask them if they can open a case for you for diagnostic testing. 2) Contact your county and tell them you are concerned your child may need extra therapies and see if they can provide anything. 3) Get your child assessed by your local hospital or psychologist , to decifer what types of interventions your child may benefit from. In closing, I urge you not to wait. I waited too long for Lee. People questioned if he was “special” from the time he was a little baby. I was in “deny, deny, deny zone.” I inwardly knew he needed extra help, but was wanting everything to magically “click.” That didn’t happen. Consequently, he did not receive the right types of help until he was almost eight and at that point, I was so desperate for him to get “better,” I would have done anything. I would have accepted any label if it would just help me connect with my son and help him out of the “dark hole” he had climbed into. Matt now is receiving “early intervention.” I can not tell you what a difference there is! Much of Matt’s early intervention would dramatically help Lee even though he is so much older. And so the adventure continues and so the story of advocation goes. I advocate to get Lee as much help as Matt is getting even though Lee is older. And so life continues an ever-present adventure at every turn. I will continue to blog about our adventure with Lee soon. If your child is peeing everywhere and wetting at night, get him tested for diabetes. It is not painful. But the pain of having his blood sugar so high, I can not imagine for my Matt Man. Go with your gut and seize the day. Websites that are helping Lee with math right now are: http://www.AAAmath.com, www.arcademicskillbuilders.com, and http://www.harcourtschool.com/activity/thats_a_fact/english_4_6.html. Maybe they will click with your child and brighten their days. Try it out. I had the idea to check out private Christian schools with an aide. But the real revelation was a label was definitely not a one size fits all tool. Reality was that Lee might fit the diagnosis, yet not all the specialty schools might not be for him. Again, I found myself ever unsettled. What were we to do? I had eagerly hoped once we had a label/diagnosis that life would be some new-found bowl of sweet cherries, pitless ones of course. And still, there were dead ends. So as Sophie’s delivery date grew ever nearer, Pedro and I began the “fun” repetitive arrangement of school tours. This time, we were looking to see if Lee would get lost easily; how many hours an aide would need to be with Lee; and how he would fit into the school population. At a couple of schools the feeling Pedro and I got is they were not really thrilled at our situation at that time. They were not totally opposed, but they were inflexible. So again, we decided this was a no go. Just before Sophie was born, we eagerly checked out the closest Christian school to our house. They were establishing reading tutoring. They seemed to be doing lots of background work for us, which was a real plus. Sophia was to be induced at the beginning of May. I thought the fourth child would just ooze out. I hated sneezing at this point, I thought she might just pop on out. But hark, her long -awaited spontaneous arrival never was and we were induced. The week of the induction was particularly surprising as my wonderful OB-GYN thought she should thoroughly ultrasound me to make sure I was only pregnant with one baby! Pedro was very on edge, wondering if somehow we had missed a little bundle of joy in there somewhere. But oh-no, she only found our one, Sophie, in there. She measured Sophie at 19 inches long and 6lbs and some ounces. She was still puzzled at my girth. The whole experience was a great big sarcastic plus for my self-esteem. But as Sophia was induced, I tried extra hard not to think of the future, to just enjoy our last baby and not think of the loose ends that loomed at home. Sophia was no six pounder, she was almost 9 pounds and 20 inches. I am just glad she got here okay. Upon coming home, I had forgotten that I had scheduled some in home observation for Lee. So Sophia was just days old and here were a couple of professionals from the autism specific clinic to start a behavior plan for Lee. Lee’s behavior plan isn’t as intense as some kids on the spectrum. For those who are combative or extremely self injuring: they may have a behavior plan that includes holds for care-givers to use on the children to keep them from detrimental consequences. Lee’s so far have been reward-based behavior plans. The sort that motivates Lee to make even better decisions. The only problem I have had with them thus far, is that Lee is a perfectionist. On the days Lee has had outbursts and meltdowns and I need to take his reward away, he gets even more violent. Soon I hope we are able to make a new plan and hopefully this concern will be addressed. Lee that day also met a wonderful influence on his life. Not only did the behavioral therapist observe Lee he also met his one on one coach. She was going to do some curriculums with Lee over the summer to help him through school. They went over such skills as overcoming being bullied, he learned the 5 point anger scale, he worked through some anger calming techniques, and learned what things made him lose control most. Later, on another blog, I will share the list of what sets him off. I was shocked in a positive way, that this coach could get such clear information from him. What a miracle! The other thing Lee would do this summer, was “play” with a peer for an hour a week. The coach was there to oversee their intermingling. Lee was at first opposed to all this, but he quickly liked it. I still had education set up for fall at this center, in case it was the best I could come up with. But there would be little to no social interaction there, so I kept plodding on. Lee also would do inner-active metronome this summer. It is an Occupational Therapy service that helps the kids processing, balance, timing, and coordination. Lee hated the metronome, but we saw outstanding results from it, so we kept pressing on. Through all the therapies, I never felt like I was trying to make Lee “typical.” My aim is just to equip him the best I can to be useful and independent as an adult. I know Lee will never be “typical.” But again, what is “typical?” I see a little autism in all of us. I have sought my heart long and hard. I do figure if I was in school today, I probably would be in a resource room getting extra help. Some of the things they now call sensory processing problems, I know I had. I hated to get dirty, hated certain textures and consistencies. I refused to wear corduroy, which being a 70’s baby probably made it hard for me to be clothed. Learning and socializing did not come easy to me. I was bullied a fair amount and made fun of. My coping mechanism was to make it fun to make fun of me so instead of crying about it, I would either chime in and make fun of myself or I would antagonize the comments. I figured negative attention was better than no attention at all. I do not think Lee and maybe not Matt would have the where with all to cope in this way and I am not sure it was healthy for me to respond like that. So I have tried to equip Lee especially to handle any bullying in a healthy way. For some reason children seem to stealthfully sniff out the weaker. I do therapies in the hopes it will make the boys roads less “bumpy.” Anything to ease their journey, is my aim. I hope one day as other moms have told me will happen, they will thank me. But if they don’t, it’s okay. I know I have done what I have felt is best and that is all I can do. I have a few acquaintances that are totally opposite of me. They see therapies as trying to change their kids. They have a “take him as he is mentality.” I can understand. But I know me, I know I couldn’t sleep at night without trying. We have seen progress, so I keep on keeping on. Our lives are full and scheduled at times, but well worth it. I know as the kids get older, the therapies will decrease or change to more “age-appropriate.” But for now, I’m holding on and keeping consistent. OT and speech therapy have made all the difference in the world. I am eternally grateful! So we kept interviewing at Christian Schools. But the one closest to us was still at the top of my hopes and dreams. I began telling people, Lee will attend the Christian School down the street. We just needed to meet with the administration. That would occur when Sophie was about four weeks old. Time was going by way too fast. A great help to us has been the scooter board. The scooter board is pretty inexpensive. We have used it for just your typical free play, but mostly we have used it for work. Lee has had to “swim” on it on his belly to pick up speech therapy cards and put it in the right bucket of the sound it makes. We have used it for “heavy work” so he could concentrate more in school work. We have used it help calm him after a meltdown (often getting moving and in a different vibe, makes all the difference). Jonathon was now getting many “therapies” and “interventions.” They included: vision therapy, speech therapy, OT, and reading intervention/tutoring. Life was full. Josh at this point was getting speech from a lady that came to our home, great joy, her coming to our house. It was almost Christmas and there was a general buzz around our house, “Was number four, a boy or a girl?” At every infomercial both boys would insist that we needed every single item today. Homeschooling was going. Church was growing and good. All was calm, all was bright. Except trying to decide where we “to go” since being at the neurologist with Johnathan. Josh was not only getting speech therapy for articulation, he was getting it for oral-motor help too. Josh was two and still drooled like a tiny baby especially when engaging in large motor activities. But he remained our happy, gleaming little boy. He spoke often in a “strange” language and we weren’t sure where he was coming from, but he always smiled and giggled. Except, when no one could understand him and he really wanted something. I remember standing in the kitchen almost daily to several times a day, lining up boxes waiting for him to gesture as to what he wanted. We did the same thing with toys and clothes and… well, you get the picture. He started scratching at his clothes, complaining they hurt him. After being through the same with Jonathon, I just gave the clothes he did not tolerate well away. I learned with Jonathon, once he had a bad feeling with a certain item, there was almost always – no turning back. We were getting along. On Friday, December 19th, we were just getting ready for the kids break from the Virtual Academy. Jonathon had been to a therapy. I was coming home with him. Upon opening the door, I saw Jeff. He looked pale and concerned. Jeff is the rock of our house. He never worries. Nothing phases him, at least he does not show it. He tends to be the quiet one. With all this, with the boys, he typically says very little and will offer a, “It will work out” or “We will figure it out.” – every now and then. All weekend, like a toothache, this uncertainty tried to pop up and there was a dull pain. We kept going. Through this whole process, I was all over the place on the inside, but tried to keep a solid front for the kids. Jeff got my rants and raves. So Monday morning we went. I remember it was very cold. Walking up to the clinic felt cumbersome and alarming. I stared at every child wondering if that would be us after they told us what was going on. And then it came, we were taken back and they broke the news. The news I will not completely tell here. I do not want to embarrass the kids in any way with this blog. All I will say, is that I thank God we had BCMH funding during this time. BCMH stands for the Bureau of Children with Medical Handicaps. I had obtained it for the diagnostic testing, for neurology and maybe the autism clinic if we needed that. The blood test they did cost somewhere around $5,000.00. Our insurance will not even touch genetics. Now when the insurance company got the results from Jonathon, they wanted me tested immediately, only because I was pregnant. My testing came back fine, thankfully. Anyone, with a child, up to age 21, I think, can apply for BCMH funding. It is completely awesome for testing. The BCMH will not cover mental conditions, such as autism or down syndrome or even genetic conditions. But for children with medical conditions, I feel like this is a God send for Americans. It was a God send for us, just using it for testing. From what I understand, anyone can use it for diagnostic tests, even for genetics. How wonderful. What we were told, that I will share, is that Jonathon had a very rare finding in the genetic field. Apparently, the testing I had while pregnant with him, did not pick up on it. Either way, I would have never ever ended my pregnancy with Jonathon. But anyway, it was only 5 years old as a diagnosis. The neurologists had found out about it on the internet!! There were only 4 diagnosis like it in central Ohio that they knew of, at the time. They told me Jonathon had a heart condition associated with the genetic piece. They told me many things and gave me print outs from web sites. Well, three years later, we have been to genetics twice more now. We now know, thanks to new findings all the time, Jonathon does not have the heart condition. I went to a cardiologist in February of 2009, just to make sure and he confirmed it also. But the grim diagnosis we were given then, was not correct completely. I joined a group and followed others with the same diagnosis. I was so thankful, Jonathon was not on a g-tube, or with severe medical problems like many in the group. My heart definitely goes out to those families. But that year, 2008, at that time, I thought Jonathon was very impaired. I thought his heart needed healed. I thought he would need teams of doctors on stand-by whenever he had surgery because of heart and gastrotology issues. But not any of these were the biggest blow. No, the head neurologist came in after our genetic findings. She looked at Jonathon and said he is perfect. “Mom and Dad, I know the other doctor saidAsperger’s, but I completely disagree. Any strange behavior is related to this genetics testing. If he had the Asperger’s he would be hand-flapping, and being crazy. Your son is perfect.” She watched him walk and left. I was devastated. Now there would be no special schooling. There would be no more funding. The well was dry in my world. I was very alone. Merry Christmas. The next day I was to find whether I was having a girl or a boy and now I would have to tell my “Gyno” that they wanted extra doctors around for delivery in case this baby was like Jonathon. Merry Christmas. The Christmas of 2007 and 2008, my parents got me “Jonathon” books. Yipee! The first in 2007 were all books on Dyslexia. In 2008, books about Asperger’s. This was very sweet of my parents. They wanted Jeff and I to be the best parents we could be to Jonathon. It is funny when Josh was diagnosed, there were no books given. I guess, everyone thought we had enough. 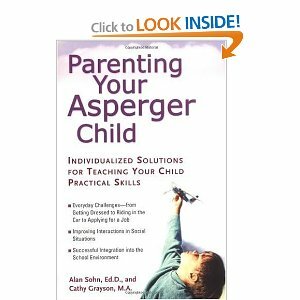 But my favorite Asperger’s book is Parenting Your Asperger Child by Alan Sohn, Ed.D and Cathy Grayson, M.A. The best thing about this book is it describes the different presentations of Asperger’s. I found the book very interesting. My favorite section is on discipline because with this type of child, our regular style of discipline did not seem to fit Jonathon properly. I hope you like the book as much as I have. It would definitely help if you are wondering if your child could possibly fit with high functioning autism. So I went home and turned on our homeschooling computers and brought up Google and typed in: “Asperger’s Syndrome.” I read the symptoms: repetitive behaviors, melt downs, trouble communicating, socially awkward, very rigid, follows strict schedule, may have obsessions and rituals, sensory issues. I could sort of see Jonathon this way, but to be honest; I just see my handsome son when I think of Jonathon. The symptoms seemed obscure. I took Jonathon to therapy. They had a neat Resource Library for parents. I asked the OT to recommend some books about Asperger’s. Alarmed, she questioned, “You don’t think he has!! !” I told her about the Neurologist appointment and said I wasn’t sure. She gave me two smart books, you know the kind you have to read every line carefully and really pause and think about every paragraph you read. Truthfully, I skipped most of the books after the first chapter. Then there was this one book, I still can not recall the name. I have even asked about it at the therapy center and it is as though no one knows what book I am asking about. But I promise you I read this one, it had a yellow cover with black text. It was written from the mother of three boys perspective as her boys are all on the autism spectrum. Her story stuck with me like glue. As I read her account, it was like unlocking Jonathon. Now I could understand. She spoke of pitch in dinners, where all the favored food was gone by the time one of her sons would get to the yummies and her sons would cry. Been there, done that. She described how the family would stop when a toy was lost. Yep, that is us too. She went into detail about how music drove her sons crazy, identified with that one too. Her book brought me light into my tunnel. From then on, I seemed to understand Jonathon at a greater level. I thank God for reading that book. So I was convinced, this label fit my son, but now what? And then some fabulous news. As I ran all this by Jonathon’s Reading Interventionist from the Virtual Academy, she told me about the Autism Scholarship, which is designed to make sure those affected by Autism receive the help they need. This might provide Jonathon with specialized schooling. At the same time, I was getting more concerned about Jonathon’s education. 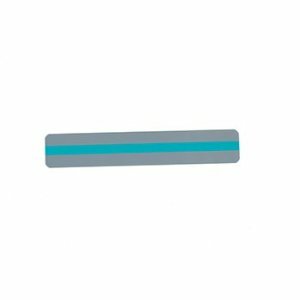 He was progressing in the Virtual Academy, but very slowly. The first grade curriculum was way too much. We had to switch back to kindergarten, which really tugged my heart. After the Learning Center did not work out very well, I felt we needed more help. Jonathon’s speech therapist told us of a wonderful resource. She was certified in the vital Orton Gillingham way of reading that is suggested for Dyslexics, but upon meeting her she had much more experience than that! She began to come every Saturday morning at 8:00am. It was very hard rousing at that time on a Saturday, but so worth it. Quickly, she also asked if I thought Jonathon could fit into the Autism Spectrum. I shared what the neurologist had said. She encouraged me to see if we could get a concrete diagnosis. She said we needed psychological testing. Jonathon did not love his time with, we will call her Molly. But she kept the time fun and often brought therapy balls and balance boards to aid Jonathon in his learning. She even brought Autism software with fun animation to help Jonathon along. I was thrilled with her creativity and her support of our family. I pray she is blessed in return as she blessed us so much in so many ways. At the same time, we had just met Brandy, our support administrator through the county. She gave me an application for a grant to help children affected by autism. I didn’t even know if we qualified, I just wrote my heart. Thanksgiving was coming and we found ourself back at the neurology office. They took a ton of blood from Jonathon to check him genetically. I did not include this in other blogs, but Jonathon was found to have a 1 in 6 chance of having Downs Syndrome when I was 4 months pregnant with him. I had the AFP test, which brought these results. After further testing, we found his DNA was fine. So I expected these genetics tests to come back fine too. I didn’t even give them a second thought. It was hard seeing Jonathon get so many tests done. It did bring him more stress as the first neurologist predicted. More tests were forthcoming around the 15th of December on. Josh was now getting speech therapy. Although we were not able to stay with Jonathon’s therapist. The county would only pay for those on a list and she was not on that list. So we had another girl, a speech therapist come to our house. She also ended up being a key for Josh and his further diagnosis too. I am so grateful for each person who has helped each of my children. If you are reading this and in the field of helping anyone who needs “a little extra…” I salute you! You are helping these people on such an outstanding level. Hugs and encouragement to you, keep on keeping on! If you know any parent or child who might benefit from the 411 in this blog, please pass it along. Recording our “story” helps me sort out how we got to where we are today, but my aim is to aid someone else who might be in a similar situation. Our Homeschooling was not as I had envisioned at all, but with all the therapies, all the testing, I was so glad we were homeschooling. I don’t think Jonathon could have graduated first grade otherwise with so much absence. At the suggestion of Molly, we started a new therapy too, this one was at OSU. It was vision therapy. We had Jonathon’s vision tested in kindergarten, it came out that his eyes were fine. Although, it showed he had a tracking delay. We went to OSU for an hour once a week, to try to strengthen that piece. Jonathon read a chart of numbers every day and did exercises. As soon as Jessica was born, I could not continue this any longer. It was not possible. An inexpensive help to Jonathon during home schooling was a Reading Tracker or otherwise called a Reading Ruler. It is about a $1.00, but can make a big difference for children who have a tough time keeping track of which line they are reading. I love ours and still use it with Jonathon today! so awesome, so little, so cheap! So imagine the ray of sunshine I was to live with. My days seem clouded and blurry during this time. I felt numb and moved around slowly. I felt like I had a learning difference. I was in a deficit as to how to handle our situation. Thank God for the internet! I don’t know what I would do without it. I spent any spare time Googling subjects such as: auditory processing, visual processing, learning aides, learning games, etc. I know, I was a real party animal. My heart was crushed, there had to be some hope for our boy. And one day, it happened. I took Jonathon to his weekly speech therapy appointment and brought younger brother, Josh. Jonathon was seven at this point, Josh was two. Upon meeting Josh, the therapist was drawn in by Josh’s contagious laugh and smile. He jumped repetitively as he engaged with the therapist. “Oh?” I responded, I was dazed and confused, just like the movie. The therapist prodded, “How does he communicate at home? How do you know what he wants?” I stared. I didn’t really know. He just was easy. He accommodated. I did remember he had been frequently tantruming a lot more often. And then the conversation happened. Right there epiphany visited my life. The therapist said, “There is no need to panic. This path with Jonathon is not a sprint or a marathon, this is a life journey. I know he did not do well at the Center, there are plenty of options.” That is all I can remember. I know Linda-Bell-Mood centers were talked about. Other than that, I am not sure. But hearing there was no quick fix, no hurry was a great beacon to me. I did stutter something about not being able to afford Josh’s therapy, we were still trying to recover from the hole we had gotten in from Jonathon’s therapy. I went from being a mess to a complete wreck. What was I to do. Then a smattering of hope. The therapist referred us to a glorious program called Help Me Grow. (You might see if the same program is available to you for ages three and under). She said Josh was the perfect candidate for early intervention. Oh goodie, that was a glimmer of hope, at least. I did know from the books, early intervention was best. Maybe Josh wasn’t destined to such a hard path? So therapy started. It was a therapy session, like every other therapy session, except… Except, the therapist had filled a tote with beans. The session was supposed to be fun. Jonathon was to pull out small animals and say what classification they belonged in: jungle, water, or farm. Big fun, I thought! Jonathon methodically would gently put one hand in the beans, a little at a time. He could not thrust his hand in. The therapist urged, “Both hands Jonathon! Pull out animals with both hands!” Jonathon kept methodically pulling out an animal safely, neatly, slowly. And so I left that day, wondering if I had done anything right. Josh needed speech therapy and I didn’t notice. Jonathon might be having strokes or even seizures and I had no idea. Jonathon need OT, I wasn’t sure what that was. I thought from a Dyslexia book called Overcoming Dyslexia, it meant Occupational Therapy, but I wasn’t certain. During this time, we also purchased an audiological processing cd-rom called Earobics. It looks like they have a bunch of new, neat products. Jonathon did not particularly enjoy the cd-rom, but during home schooling days, he would use it about once-twice a week. I could immediately tell his audioloigcal processing had made gains. great company, with great resources! So the center accepted Jonathon for a shortened summer term. We went two mornings a week, for an hour at a time. We used a program called Lexia, for twenty minutes before his tutoring sessions. I thought this was the best thing since white sliced bread! Jonathon began to cry on our way to the center, much in the same way he had cried on his way to school. I would take Jonathon home noticing he had the “crying rash.” I thought, “Big Whoop, it’s probably nothing…” Jonathon has always gotten a reddish rash under his skin when he cries hard and he has been an easy crier. I knew he had been crying. Asking Jonathon what was going on, all he would say is he didn’t like it, he didn’t want to go. The only way I got him there, was reminding him that they were going to get him reading, which has always been a real hearts desire for Jonathon. Please do not get me wrong, I love the Mason’s Learning Centers. Their vision is golden. I would support them at every turn. We did not fit their program. After a few weeks, ending our term of tutoring, I sensed a change. Were the staff staring at me different? I sensed a cold change in atmosphere. If these things were really happening are neither here nor there. But what happened gripped my heart and shook my emotions. During the last week, the director, one morning called me into her office. It reminded me of the principal’s office, never a good thing to be told to go there. The director let me know she was not sure if Jonathon would be able to return. She told me he shook, cried, and was not learning as quickly as their curriculum provided. I was devastated. Our answer was not an answer at all. Was there a path for Jonathon? We were told to observe Jonathon’s tutoring. My husband and I came to observe, so did our wonderful speech therapist. What we saw, I hope to never see again. Jonathon’s veins stuck out in his temples as he tried to retrieve knowledge. His body tremored as he tried to communicate what was being asked of him. I had to look away, it was much too painful to watch. The tutor was gracious and tried to calm my son, my precious blessing, my sweet Boy Wonder. I tried to hold back vomit. I tried to hide my utter astonishment. We left the center and never returned. I could not do that to Jonathon to even entertain returning. It was too intense for him. I felt totally alone, totally blind. I did somehow find the words to tell Jonathon, “You are the bravest boy I have ever seen! I am so proud of you!” Jonathon did not respond. He has never spoken of the center again. I was shaken, but I kept wondering what it would be like to be Jonathon, how was my guy feeling? I do know just in a few short weeks, the center did help Jonathon learn all the letter sounds even better and helped him with the sh, ch, and th sounds. But I was panicking! I was a mess. If Jonathon could not hold his own with the special free tutoring, what did the future hold? What would keep Jonathon from being the man in the library (see the last post)? I was a mess. I kept praying. I had that gut check, something else besides dyslexia was going on, but what?! The Lexia program mentioned above has been awesome for Jonathon! It has made him cry and shake, but when it does that, I have learned through much “drama.” We just go back a level. It has helped hone Jonathon’s reading skills big time. It can be a little “dry,” so we use it in small doses, no more than twenty minutes at a time. We used it almost daily when we home schooled. Now Jonathon’s school uses it for Language homework. Lexia Learning programs rock! Google search the company. Their products and results speak for itself. They are also on Facebook, you can join their group. Hope you enjoy their company as much as we have!